Volumea Volumizing Foam - No Rinse brings body and structure to fine and limp hair. An anti-static ingredient provides a controlled look. Hair is soft, shiny and regains a natural and flexible volume. Boost fine hair with high style volume. VOLUMEA volumizing care is infused with natural Carob extract that weightlessly coats and plumps each hair strand to deliver visible amplifying volume from the roots to ends. This volumizing system provides long-lasting airy fullness with enhanced body and bounce. 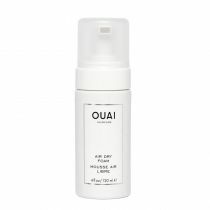 A lightweight body-boosting styling foam pumps hair full of volume and adds structure to fine, limp hair. Hair regains natural and flexible volume from roots to ends that lasts all day. WATER, BUTANE, POLYQUATERNIUM-68, PROPANE, CETEARETH-20, CETRIMONIUM CHLORIDE, CITRIC ACID, ETHYLHEXYLGLYCERIN, FRAGRANCE, GLYCERIN, HYDROLYZED CERATONIA SILIQUA GUM EXTRACT, HYDROXYETHYLCELLULOSE, ISOBUTANE, PANTHENOL, PANTOLACTONE, PHENOXYETHANOL, SODIUM CHLORIDE, VP/VA COPOLYMER.